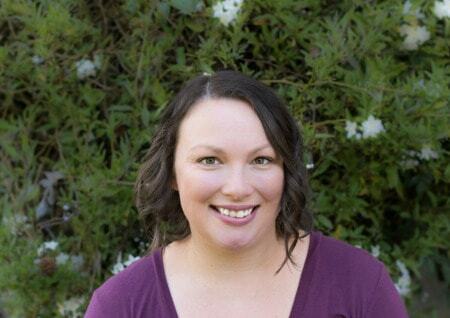 December 3, 2018 By Aileen Leave a Comment This post contains affiliate links. As an Amazon Associate and member of other affiliate programs, I earn from qualifying purchases. I love the toddler years for so many reasons. They are excited about independence yet always come back for love from their mama. They have the cutest little voices and say the funniest things. They are also really stinking cute. Just check out that cheesy grin. It gets me every time. Another thing that gets me excited about the toddler years is that I get to feed them all the things. We’re past baby food and on to new tastes and textures. I don’t know about other toddlers, but my daughter is also eating a little less these days. She is so busy playing, exploring, and learning new things. She doesn’t like to spend much time at the table. Her appetite has slowed (as it did with my other two, so I know it’s normal). When that happens, it’s even more important to make sure I’m feeding her the right things. USDA Organic, NON GMO and Clean Label Certified. 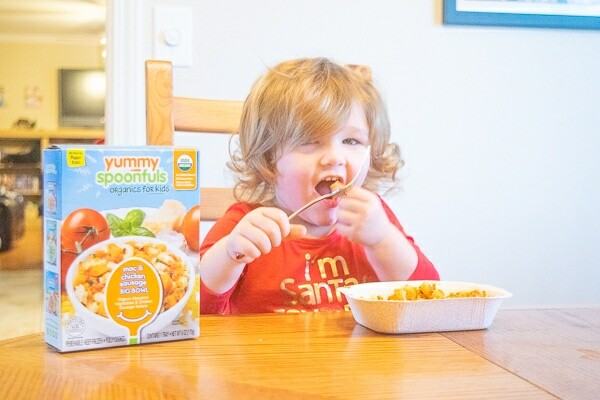 One Yummy Spoonfuls meal provides 65% of the required protein for a toddler. The protein is needed for their little growing muscles. They are small batch balanced meals cooked in a real kitchen with real food ingredients. Yummy Spoonfuls taste great and my toddler loved them (obviously, because I couldn’t manage to get a photo of her without a bite of food in her mouth or food on her face). 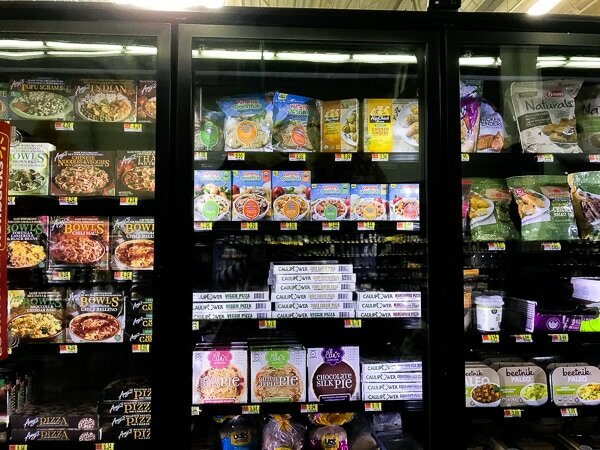 You can find Yummy Spoonfuls at you’re local Walmart. They are in the frozen food section. I found mine in the healthy food part of the frozen food section. Make sure you also check out their IBOTTA offer, to save money on your purchase. I took both of my daughters with me (while big brother was at school) and let them pick out the flavor they wanted for lunch. The first meal we tried was the Mac & Cheese Sausage Big Bowl. It was a great sized portion for both my 2 and 4 year old girls. 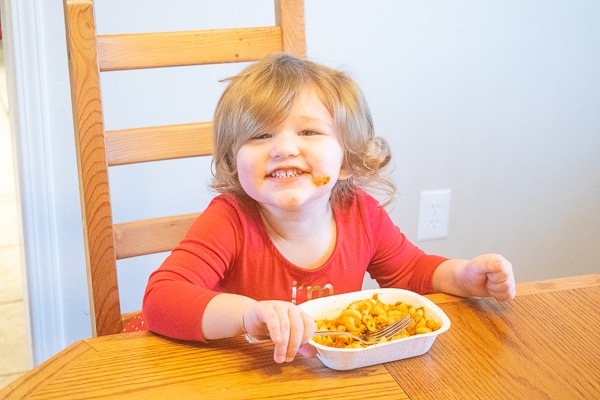 Allison loved the pasta and Katelyn loved the sausage, making it the best of both worlds for my two hungry little girls. 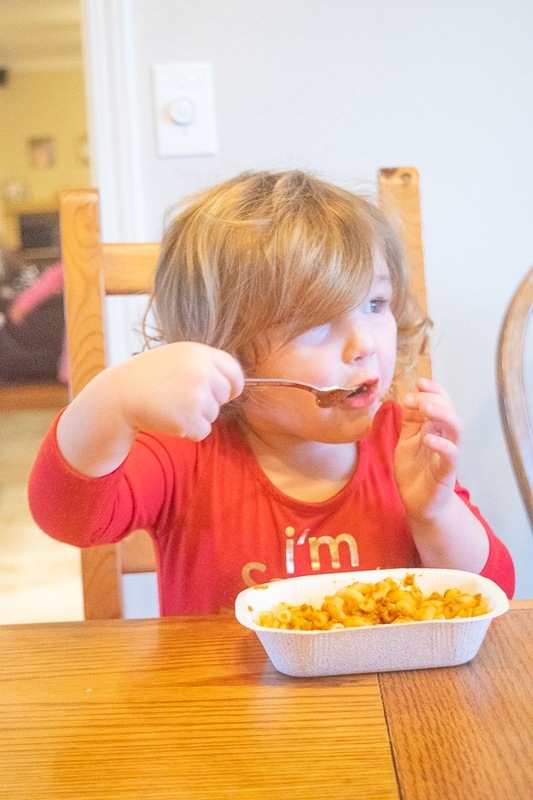 Have your kids tried Yummy Spoonfuls? What did they think?